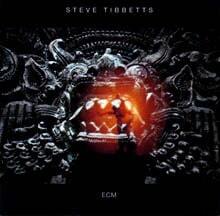 An extremist in the best sense, guitarist Steve Tibbetts disdains comfortable middle ground. At peace, he creates delicate acoustic structures. Fired up, he unleashes an onslaught of electric rage backed with thunderous percus­sion from partner Marc Anderson. The Fall Of Us All ranks with his best and wildest work (alongside Yr and Exploded View), because it smoothly reconciles Tibbetts’ volatile mood swings with his developing interest in the music of Indonesia and Tibet. Tibbetts hints that The Fall Of Us All con­cludes a phase of his work. If so, it’s the clearest, most concentrated iteration of his ideas to date.